Add a touch of glamour to your bedroom, dressing room or studio with our Venetian Mirror Finish Hollywood (Medium). Very happy with the product, and customer service was very good! This is the second mirror I have bought. The first was for my daughter and was so delighted with it I wanted one for myself. Excellent quality and fast delivery. Stunning product. Medium Venetian Hollywood Mirror. I did a lot of research before I made my purchase, mainly because I was worried about the delivery of such a fragile product. I placed my order online and received delivery the following day, unfortunately due to a warehouse picking error the wrong size was sent. 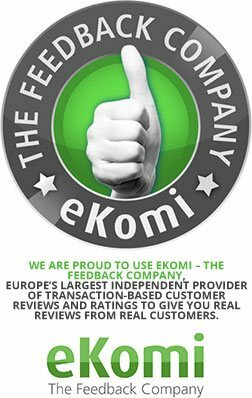 After a quick telephone call, Ronan sorted the correct mirror to be delivered the following morning and collection of the incorrect mirror to be collected at the same time (excellent customer service). I need not of worried about damage during transit as the packaging is excellent. Fixing the mirror to the stand was simple. To say I am delighted with my mirror is an understatement, the lighting is amazing, the quality of the mirror is superb and is a stunning feature in my bedroom. 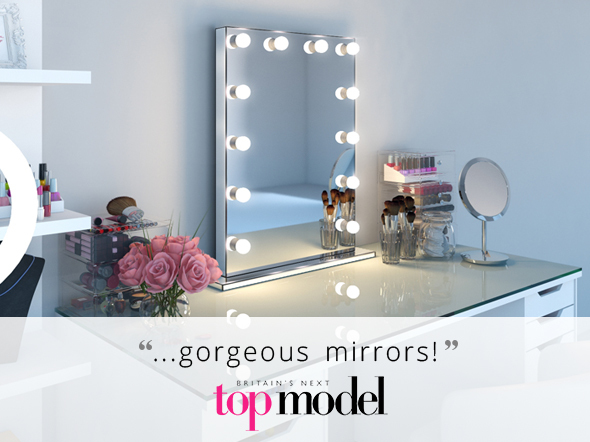 We supplied six of these mirrors to Britain's Next Top Model. They were incredibly impressed - which is no small thing in such a high-profile, image-conscious business! 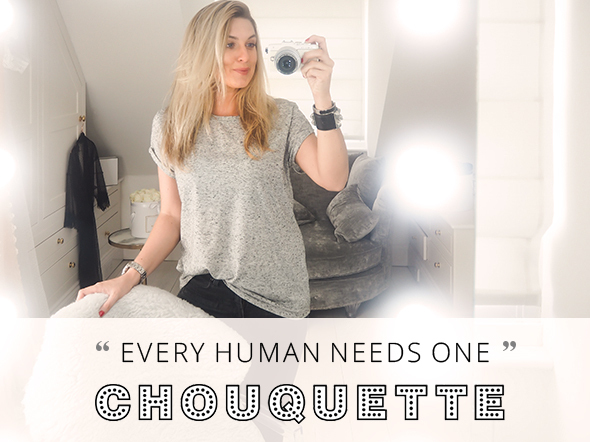 called this "the perfect mirror"
Claire Channelle, who goes under the name "Choquette", is a no-nonsense, British fashion blogger. She was blown away by our fabulous mirrors. But don't just take our word for it. Check out her "Beauty room tour - Hollywood style" to see how much she rates us. says it's "the star of the show"
Hannah Fay is beauty, fashion and lifestyle blogger. She takes us "where the magic happens" in her beauty room tour and gives the low-down on her beauty regime. Because our mirror is the "star of the show" she loves to use the brilliant light to get "up close and personal" with her face as she's dolling up.